Looking at this photo we still have to get rid of that weird awning window wood thing. I don’t really mind the color but it just doesnt match the look we’re going for in this room. From the sliding glass door there are some curtains in the same color, and the closet trim has the same paint color and awful wallpaper as well. SO i guess this room ISN’T quite done yet…. baby steps. 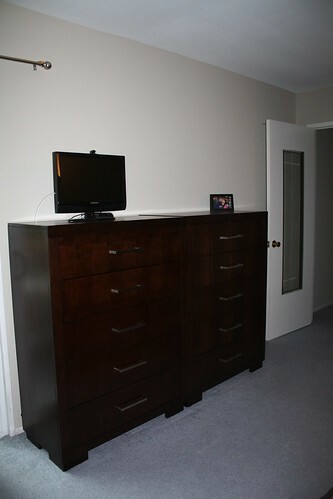 I decided a couple weeks ago that i needed more drawer space, so i went to Furniture Expo where we got our chest to purchase another one. Placed an order with the nice Asian lady there and a week later we got it delivered (scored free delivery – i think being Asian and pregnant she liked me a lot). I also bought a bunch more jewelry holders to place my necklaces on. I had one previously, but that was just so limiting! Now i have 4 total! AND GUESS WHAT, i can fill it all up! Yeah! Ok so i have a lot of jewelry too. It feels like i am in a jewelry store! It’s pretty fun. 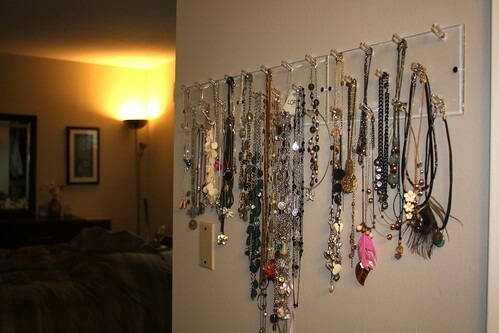 Now i can actually SEE all the stuff i have in the morning when i’m deciding what necklace to wear. 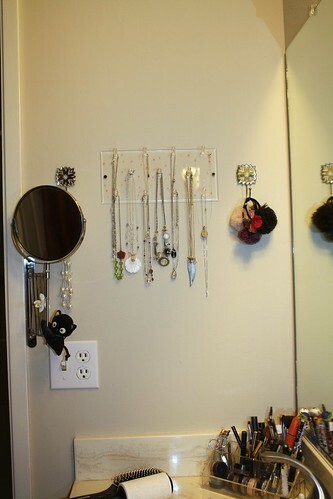 Here is the fourth necklace holder. I keep my favorites here because its right next to my sink and makeup. 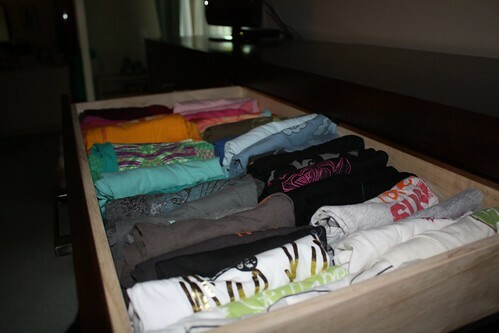 you’re soo organized its gross… lol just kidding. wish I could keep the house that clean. I bet you guys are going to be that couple that has teh ridiculously clean house despite having kids!